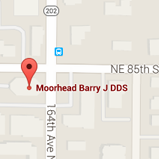 Dr. Barry Moorhead is passionate about providing quality dental service and establishing caring, long-term relationships with his patients. A native of Washington State, he attended the University of Washington where he graduated with a degree in Psychology. He then went on to receive his Doctorate of Dental Surgery from the University of Michigan School of Dentistry. Dr. Moorhead returned to the Seattle area upon graduation and soon after obtained his own private practice. 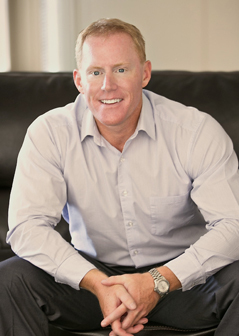 Dr. Moorhead is a member of various local and national professional organizations. These include the American Dental Association, Washington State Dental Association, Seattle-King County Dental Society, Spear Study Club, American Academy of Cosmetic Dentistry, and the Great Blue Heron Dental Study Club (Seattle Study Club affiliate). Currently, he serves as a part-time faculty member in the dental hygiene and dental assistant programs at Lake Washington Institute of Technology College and is the chairperson of the school’s Advisory Board. When not practicing dentistry, Dr. Moorhead enjoys an active lifestyle. An avid skier, he taught skiing professionally for eight years at various ski resorts from Steven’s Pass to Vail, Colorado. Other interests include wake-boarding, scuba diving, and mixed-martial arts. When you visit his office, you’ll quickly see that he’s also a saltwater aquarium enthusiast.